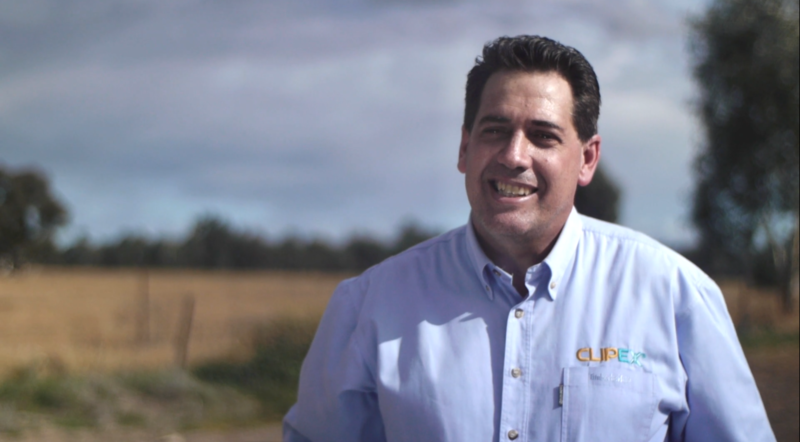 With demand for exclusion fencing at historic levels, Australian family-owned and run company Clipex is leading the challenge to make it easier and more cost effective to install – and further, its innovative range of livestock handling products is revolutionising the industry. Clipex fencing technology replaces traditional ‘hole in the post’ fencing with an advanced and yet extremely simple ‘slot and clip system’. It effectively eliminates the need for tie-clips or tie wire, instead enabling farmers to simply clip in their wires. Being incredibly strong and easy to install, Clipex fencing is guaranteed to be the fastest and most secure method of attaching fence wires into a fence post, while at the same time drastically reducing labour and material costs. Clipex fences are at least 10 times faster to attach the wires than traditional tying off methods, and their Y posts are the largest and strongest available. Most importantly, they require much less energy to install wires to, and can easily be used by anyone, even children. The Olsson family has a long history serving rural and regional communities, beginning with their salt block business that originated back in the late 1940s in a shed just west of Parramatta. This was the first pressed salt block produced in Australia to contain a range of minerals, and it was also the forerunner of all multi-nutrient blocks produced in Australia since then. They’ve been at the forefront of farming innovation and technology ever since, and their fencing products have a variety of patented technologies, all designed to reduce cost, improve worker safety, reduce workload, and minimise the stresses and strains of physical labour that are so common in the farming industry. What’s also unique is the company’s belief in making products that will last a lifetime, as Ashley explains: “We don’t believe in what is referred to as ‘in-built obsolescence’. We aim to maximise the life of our products, for example our heavy-duty cattle crush is designed to last a very long time. Its components are hot dipped galvanized after construction, and made from very strong steel, so they won’t rust or wear out easily, and it can be serviced very easily and cost-effectively. The business is continuing to invest in efficiency-focused innovation, developing new patents, more efficient manufacturing facilities and new technologies such as manufacturing robots designed to help to automate production lines. Ashley’s original vision to help farmers and their families with affordable innovation is now “going Global”. Clipex has been sold in North and South America, the UK, Scandinavia, Africa, Malaysia, Germany, Ireland and France.